Finding a restaurant in Siem Reap where they show Apsara performances is not hard at all. Our Tuk-Tuk driver that day (in April 2010) had tipped us about a restaurant near the Angkor National Museum. I didn't know what we were getting into, but we followed him. We arrived at the notorious Koulen II restaurant, which at that point we didn't know had received bad reviews. We got to pick a table, and chose one of the tables at the front and close to the stage. Me and my boyfriend were picked up at 7 pm, and the show started at 7.30 pm. When we entered the restaurant, we were met by hundreds of tourists running forth and back - to the buffet. Ushered to our table, we were hungry and started collecting food. 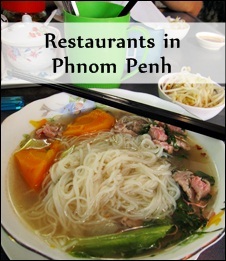 They offer Khmer, Thai, Vietnamese and Chinese dishes and countless desserts. Drinks are not included in the price. We were there for two things: the buffet and the Apsara show. 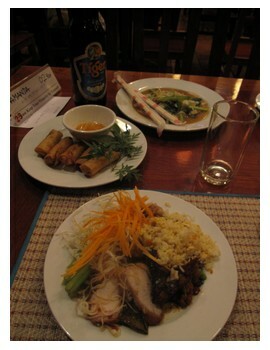 The variety of Cambodian food was pretty good. You could choose a dish, and they would fry it in front of you. I personally thought it was delicious (and none of us got sick). Then the Apsara show started! They were gracious with their hands and decorative costumes, and my boyfriend thought so too. My boyfriend was mumbling: "Ah, they're so beautiful." We thought the show that evening was good, but frankly I haven't been to many Apsara shows, so I haven't anything to compare to. At the end of the show, the dancers posed so the audience could take pictures. Honestly, that was not charming at all. Seeing dozens of tourists taking pictures of them, like they were dolls, was just obnoxious. You could see that the Apsara dancers were uncomfortable about it. When: The buffet starts at 18.00 and the apsara show at 19.30. 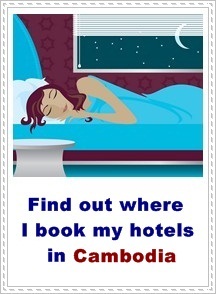 Where: Sivatha road, near Angkor National Museum. Before Koulen 2, I wanted to go to Acodo Orphanage in Siem Reap. We found a flyer at Blue Pumpkin saying Khmer traditional dancing and music was performed by the orphans. If you're interested, they have shows every evening at 6.30 pm and lasts for 45 minutes. 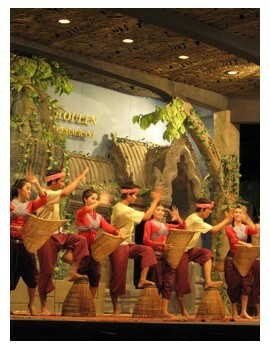 They have plans of opening an restaurant in November 2013 where you can have Khmer dinner and enjoy the dance show. 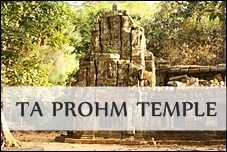 You can also try the Cambodian Children's House of Peace, where they also have traditional Khmer dancing performed by the children. The show is every Sunday evening at 7.00 pm.